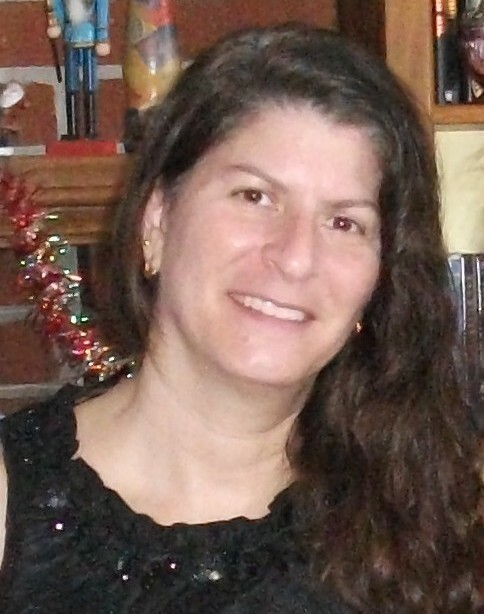 Today, I'm happy to introduce Annamaria Bazzi, a fellow CritiqueCircle.com author who I've had the pleasure of receiving critiques from. 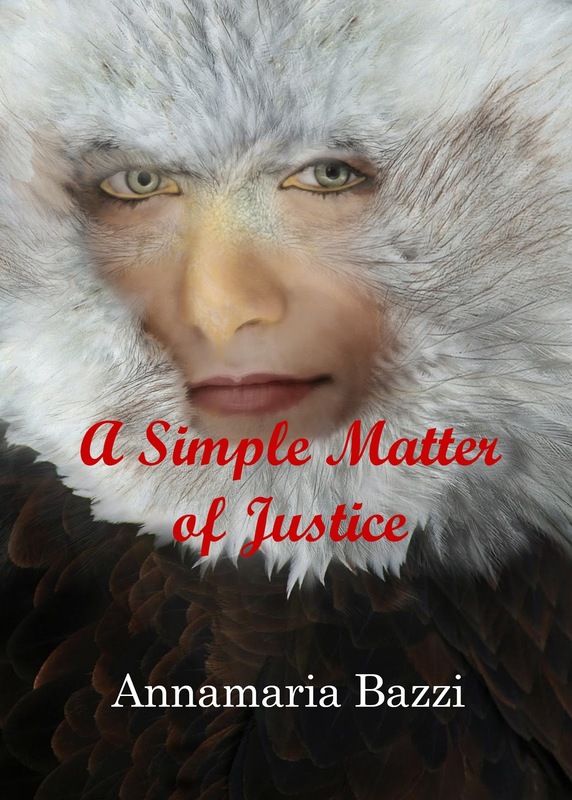 Annamaria has just published her first short story, A Simple Matter of Justice. Describe your childhood. What were some of your favorite activities? Games? My childhood was an adventure that began when my father kidnapped us and took his three children, my brother, sister and me, to Italy. I met strangers that soon became my loved family, you know, grandparents, aunts, uncles, and many cousins. I had two sides to my personality, the creative kid that made up fantasy games to play with cousins, and the tomboy who could outrun any of my brother’s friends, he’s two years older than me. It was in Italy that the passion for writing sprouted, but because I was an excellent runner, one my father and PE teacher recognized, I was kept after school to train in the high jump and sprint. I’ve never been a long distance runner. Unfortunately, for my career in sports, my mother was able to get her hand on her children and without a passport or permission from my father, kidnapped us back to the United States. Once back, my mother forced me into the mold of a young woman through ballet and piano lessons. It wasn’t until high school that I found a teacher, Mrs. Allen, who recognized my talent for telling stories and creating characters. Goodness, what drama you endured as a child. At least you got to grow up in two different cultures. Did you dream of being a writer or something else? I started writing in secret at the age of eight, writing little stories I hid in my drawer. They were for my eyes only. It wasn’t until high school that I started to write for others to read, and it all began because of one teacher who recognized some hidden talent I had a hard time seeing. After that, though, I took creative writing all through college. Real life caught up with me, and I found myself with a real job, a husband, a house, and soon followed the four jewels of my life—Amanda, Amelia, Alessa, and Ariana. I started writing again when I finally had a chance to quit my job and stay home to raise my treasure. That's wonderful. I know you grew up in several cultures and are multi-lingual. Has that helped your writing adventure? My adventure through life never really stopped… the greatest adventure and challenge has been my marriage. I’m a hard fast Roman Catholic, but married a Lebanese Moslem I met at Wayne State University. Not counting religion, the cultural differences alone are enough to send anyone into a never-ending whirlwind. Believe me, it’s pretty dizzying. The challenge of raising children, especially girls, can be a dividing monster. We managed, and next July will be our twenty-eight wedding anniversary. Congratulations! You've certainly lived a multi-cultural adventure. I bet it gives you a lot to write about. Any advice for upcoming authors? If your dream is to be an accomplished author, you need to put your name out there, in the form of a blog, way before you intend to publish. 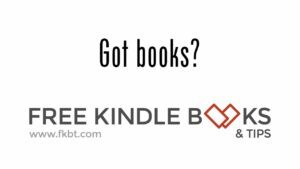 Dedicate your blog to promoting other authors, their fans will come to your blog. With time, they will recognize your name and when you publish, they will try your book. It is very important to have an editor comb through your work, quality is most important. Also, a professional book cover is a must. Most of all, don’t ever give up on your dream. Take classes to improve your craft, and surround yourself with supportive people. Great advice, Annamaria. You've helped me with my stories by pointing out inconsistencies. You're quite a skeptic. Tell us about your first story. The first work I’ve published is a very long, paranormal short story, A Simple Matter of Justice, to give readers a taste of my writing style and storytelling abilities. I’m preparing the way for my urban fantasy, Trapped in a Nightmare, that should be coming out sometime in March. I enjoyed writing this unusual story, and hope others will also enjoy reading it. Brutally murdered, Samantha discovers her life doesn’t end with her death. While in spirit form, she speaks with a wolf, which offers her a chance to bring her killer to trial…but there are strings attached. Even so, she accepts his proposal, and together they hunt the city. However, when the man responsible can’t be located, she worries the wolf’s proposal might be more than a simple matter of justice. Thank you so much for for having me over, i had fun. What a story. It's lovely to learn more about you, Annamaria. I knew your background is Italian, but had no idea what an adventure your youth was. It's like a book. Great interview as always, Rachelle. Happy New Year to you both! to me life itself is a great adventure. Wow, talk about living an adventure! Very cool interview!